If Trump is going to pull U.S. forces out, he’s going have to wrestle with military dogma first, according to retired Army Lt. Col. Daniel Davis, a senior fellow for Defense Priorities who served in Afghanistan and Iraq. "Bless their hearts, but there is nowhere in the world we are deployed that a military leader is going to go on record and say, 'yeah, I think you're right, we should probably shut this down,'" Davis told Military Times. But White House Press Secretary Sarah Sanders later in the afternoon spoke less decisively, telling reporters that the determination to leave Syria will be made in concert with military leadership. While the president seems content with eliminating ISIS holdovers and pulling out, the generals he tends to trust may be interested in pursuing broader, more strategic concerns in the region. "The only reason for staying there in the long run is to hurt Iran and Russia,” Joshua Landis, director of the University of Oklahoma’s Center for Middle East Studies, told Military Times. 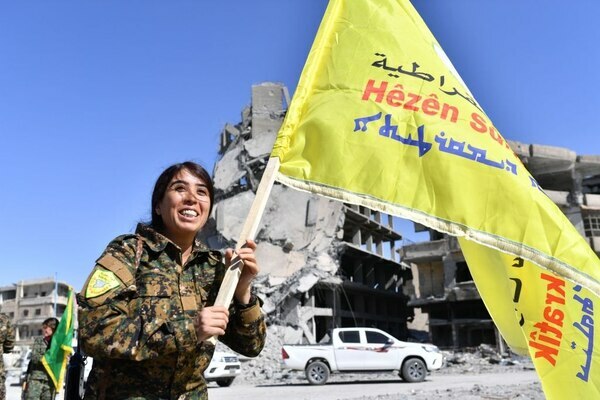 “The United States in this northern Syria region has control over 50 percent of Syria's oil, and much of its best agricultural land,” Landis said. “So by denying that to [Syrian President Bashar] al-Assad, we can make him extremely poor and we can stop him from rebuilding." But that goal is nearly impossible with current troop levels, Davis said. "Now compare that to Syria, where we're not on the side of the host government, and we don't have 140,000 troops. We have 2,000,” he said. “That means that we have a physical presence on just a few shards of dirt, while you have the Russian forces, the Iranian forces, the Syrian forces, and 20-some odd groups of competing rebel factions all operating in there with competing interests,” Davis said. “We simply cannot kill our way out of this,” he said. Pentagon spokesman Eric Pahon told Military Times that the coalition mission to the region remains flexible. 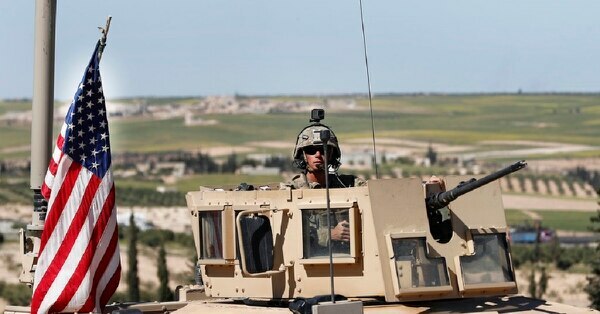 However, Pahon declined to address the rumors and pictures that have circulated on social media that appear to show the U.S.-led coalition was in fact pushing more troops and equipment to Manbij, Syria, where two coalition soldiers were killed late last week. 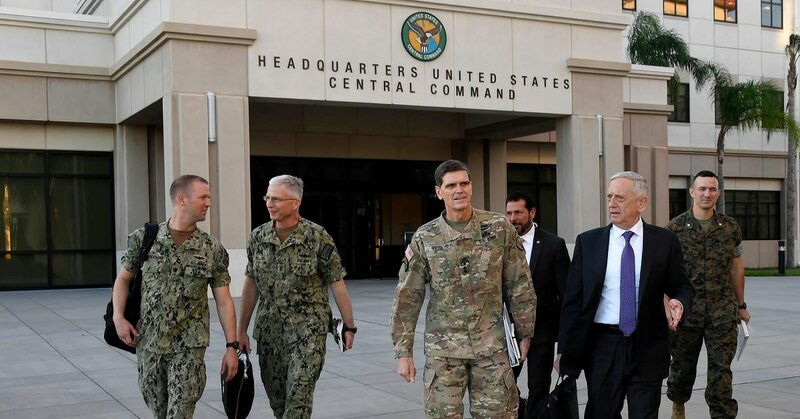 “What I can tell you is, throughout CENTCOM, commanders are delegated the authority and the responsibility to position the number of people and resources needed to accomplish the mission and to protect themselves,” Pahon said. Army Gen. Joseph Votel, commander of U.S. Central Command, also seemed to advocate for a U.S. presence in Syria longer than Trump wants. This contradiction between generals and presidents isn’t new. Landis said no president wants to end up like Richard Nixon, who eventually accepted defeat in Vietnam. “Even though the war is stupid, and probably can't succeed, everybody wants to kick the can down the road,” Landis said. But with recent shakeups in the White House Cabinet, including the departures of Secretary of State Rex Tillerson and National Security Adviser H.R. McMaster, there appears new national security strategies emerging inside the Trump administration. And achieving those objectives would require “the will to stay and fight as well as a physical American presence,” Cafarella said. If Trump does manage to ditch Syria, there remain some issues for U.S. credibility down the line. 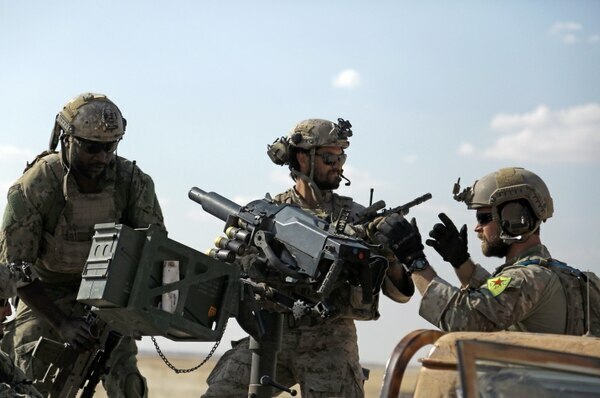 The Kurdish forces have long-sought an independent state, but “it’s not clear that America can give that to them,” Landis said. “It would cost a fortune. And now is the time to let them know that America can't give that to them, because they can still make an arrangement with the Syrian government, which is eager to make a deal with them. If America does it properly, they can make a favorable arrangement for the Kurds,” Landis added.